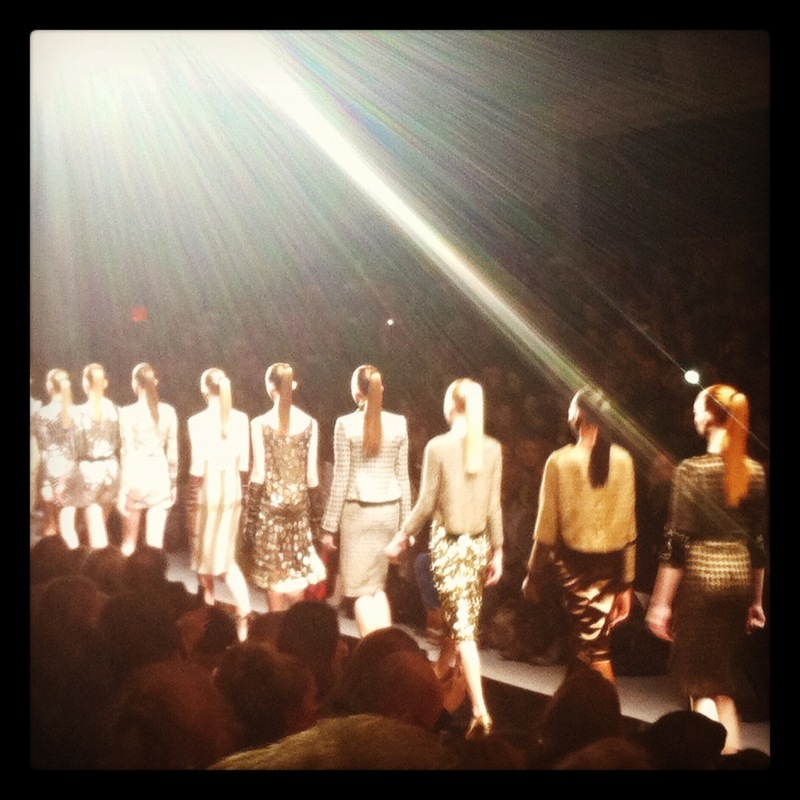 Lindsey instagrams her iPhone Reem Acra photos, and digs the geometry of the collection. 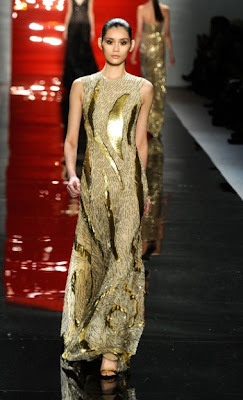 What stood out most at Reem Acra this season? Geometric shapes. Diagonals and more pervaded her show in the best of ways. Colorwise, the collection was all black and gold. Some of my favorite looks were not just the floor-length, red carpet gowns that glimmering with metallics and sequins, but also the form-hugging leather pieces that opened the show. The drama was not a departure for Reem Acra, but the strong patterns and powerful hues felt modern and new.